Roots ‘n’ Rockabilly Riot Every Thursday at Press Club. Every second Thursday Little Billie performs live on the Press Club stage from 9:30pm. Little Billie has a distinctive style and sound that’s rooted in the blues, with a gritty rockabilly edge, and a pumping live vibe! Featuring killer blues/rock lead guitar, strong female vocals, punchy double bass, and hard-hitting drums, Little Billie takes no prisoners, and their energetic live performances are undeniably powerful!! Every Second Thursday Jon Flynn and His Knights Of Sin take the stage. It’s 3 piece party music. Roots rock, rockabilly, hillbilly jazz and blues.. pace and beat.. It rocks! Interested in reserving a private booth for your evening? Let us treat you like a true VIP with bottle service, a private area and the best seats in the house. 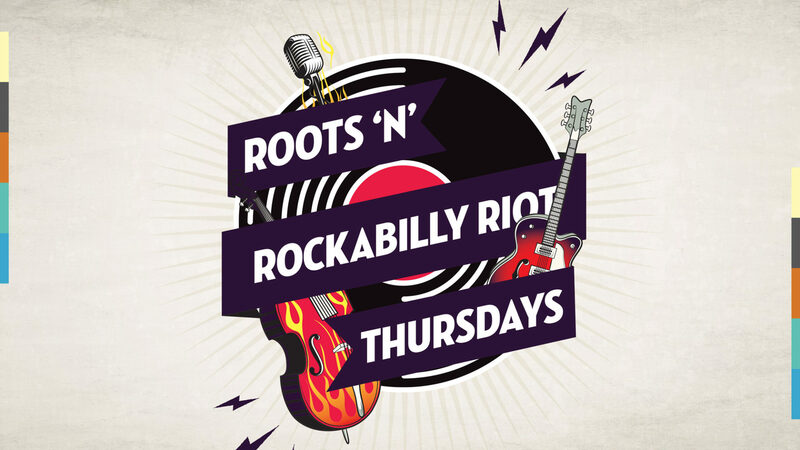 Roots n Rockabilly Riot is at Press Club every Thursday night from 9.30pm until late. Stop in early for a wood-fired pizza and then groove the night away. Check out our menu here.